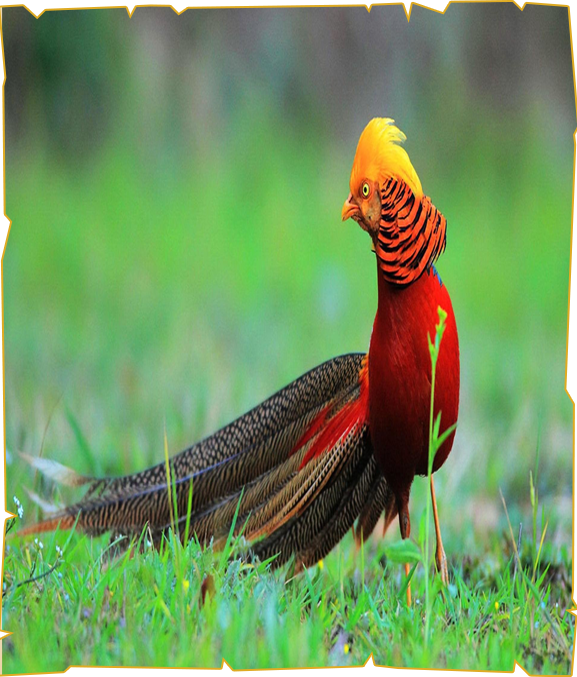 The Golden Pheasant, also known as the ‘Chinese Pheasant’ is one of the more popular species of pheasant which is native to the mountainous forests of Western and Central China. The Golden Pheasant was introduced to the United Kingdom around 100 years ago and there are around 101 – 118 mating pairs in the summer. This hardy, gamebird belongs to the order: Galliformes and is a smaller species of pheasant.